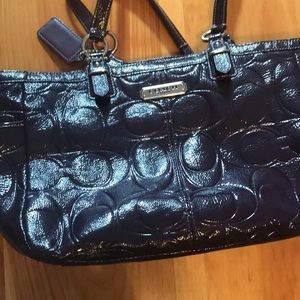 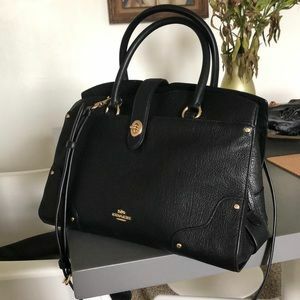 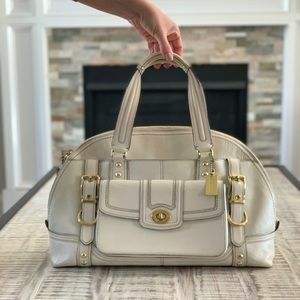 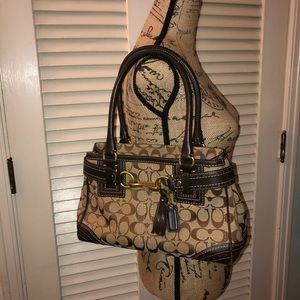 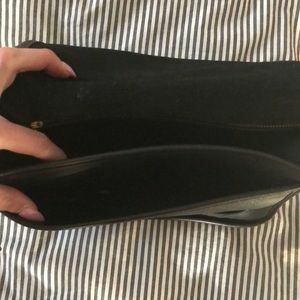 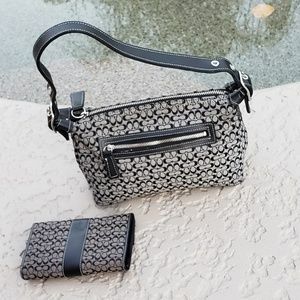 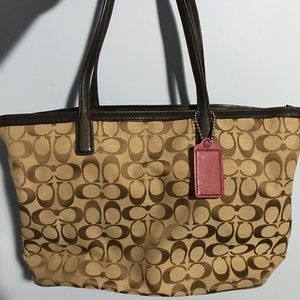 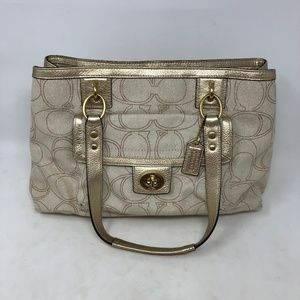 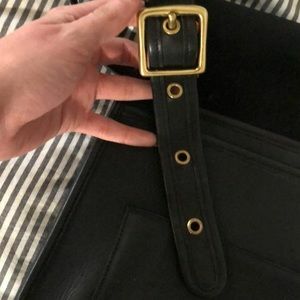 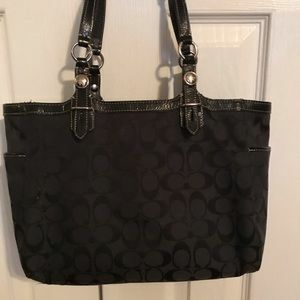 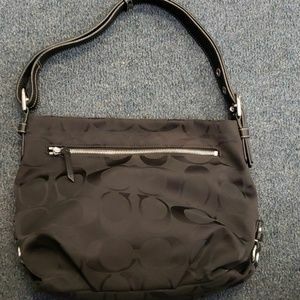 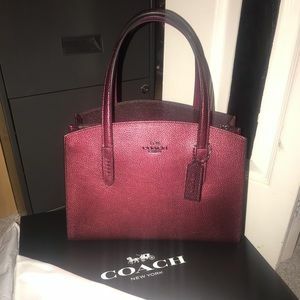 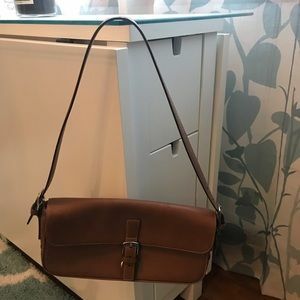 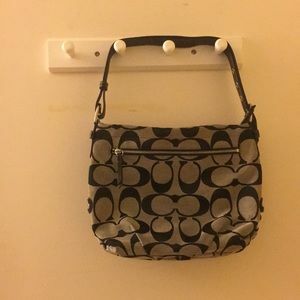 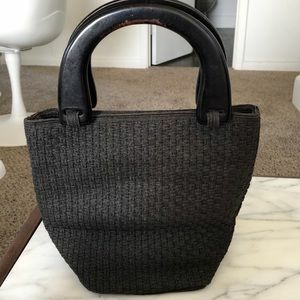 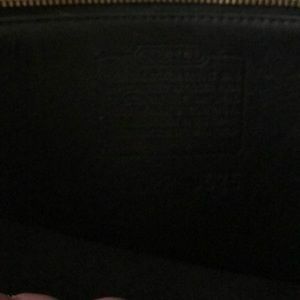 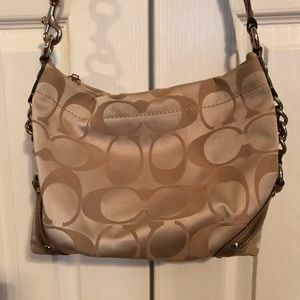 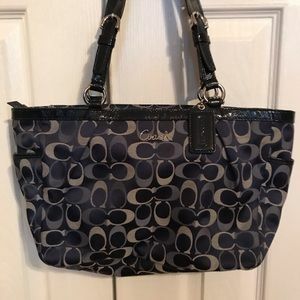 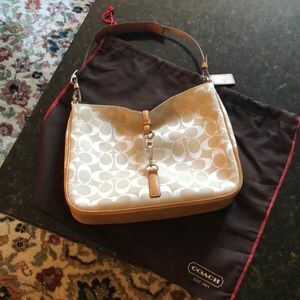 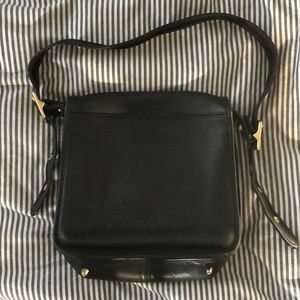 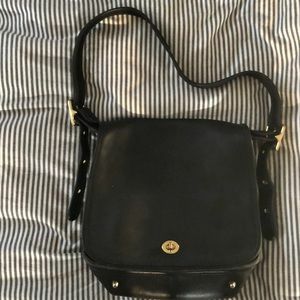 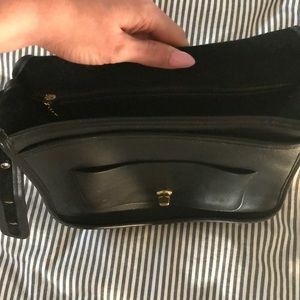 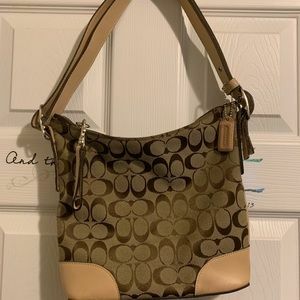 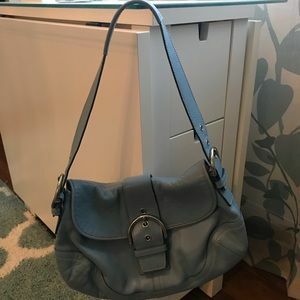 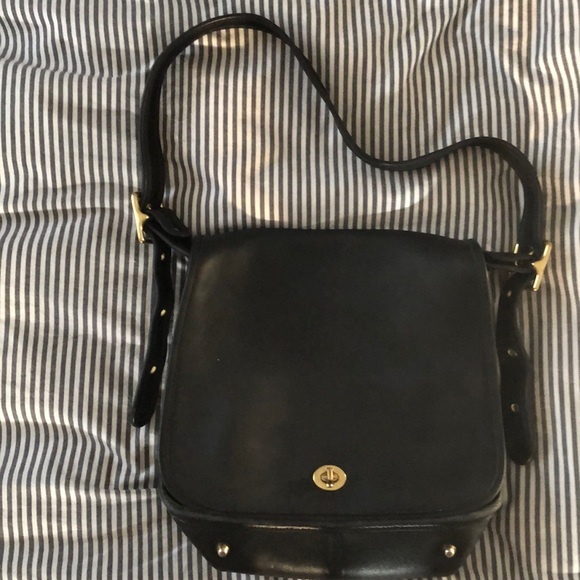 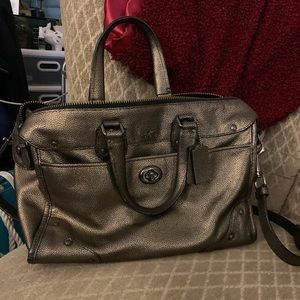 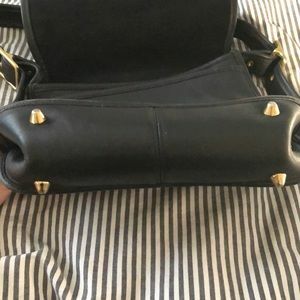 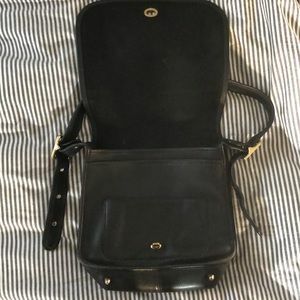 Beautiful black leather genuine Coach vintage stewardess bag with a flap front turn lock closure, brass hardware, an adjustable strap so you can wear it as a cross body as well. 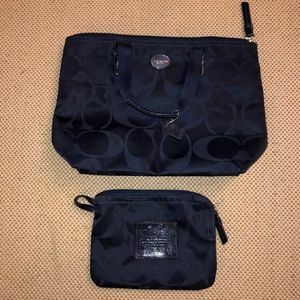 One interior zip pocket and two extra slip pockets besides the main compartment. 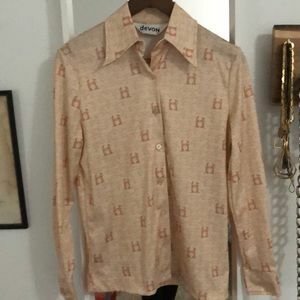 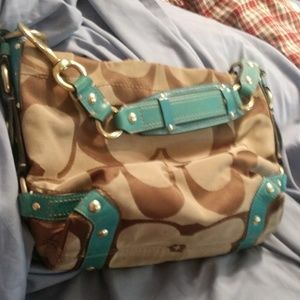 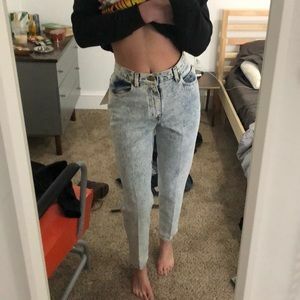 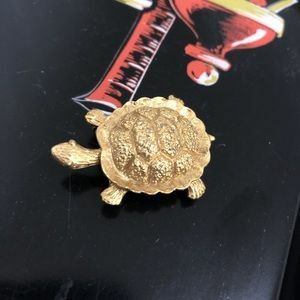 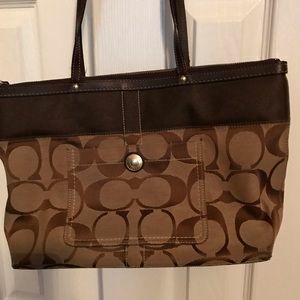 Very clean and I’m perfect used condition. 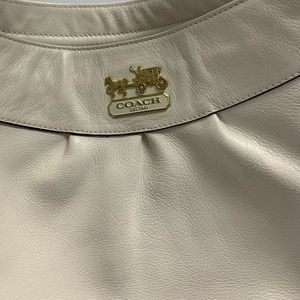 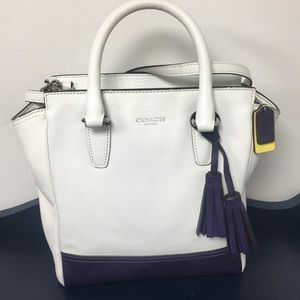 It is missing the hang tag but of you call coach headquarters they will send you one for free! 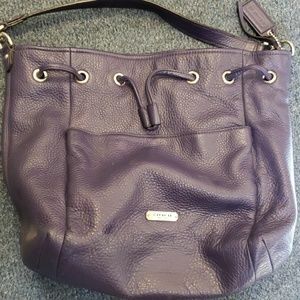 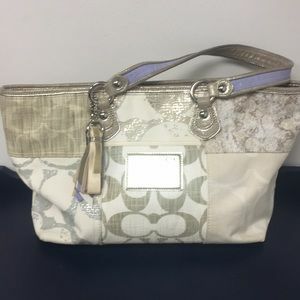 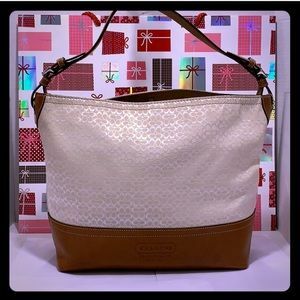 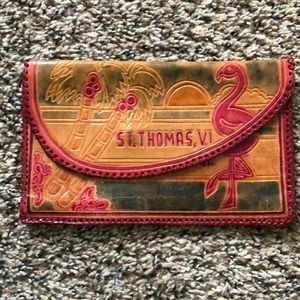 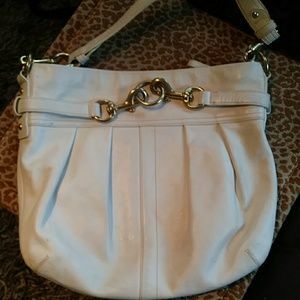 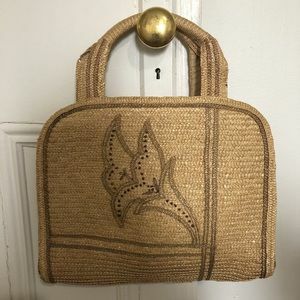 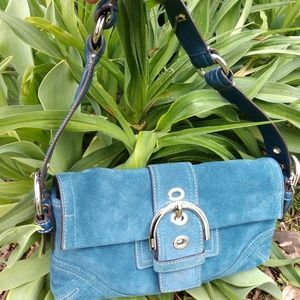 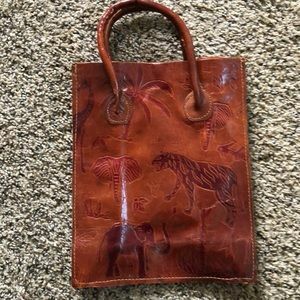 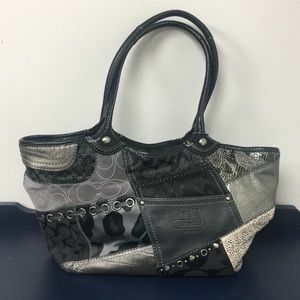 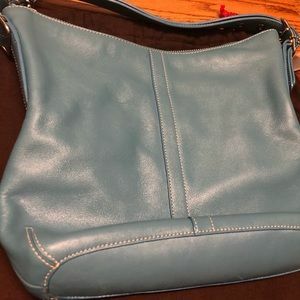 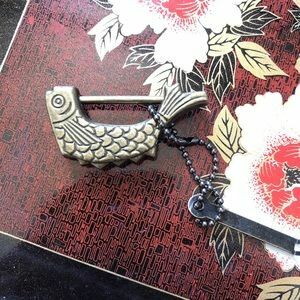 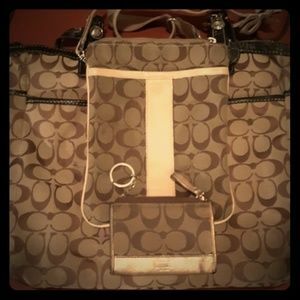 Beautiful every day bag! 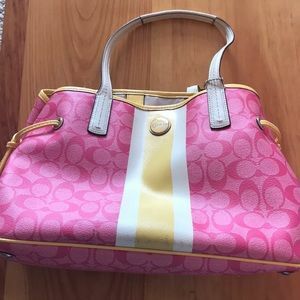 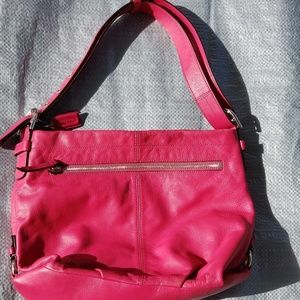 Pink and yellow coach bag perfect for summer!